The docutainment series Heroes of Racing is now available on the streaming platform Amazon Prime Video. Two episodes of the first season of Heroes of Racing can now be watched on Amazon Prime after being broadcast on the pay TV channel auto motor und sport TV last year. Other episodes will be added at a later date. 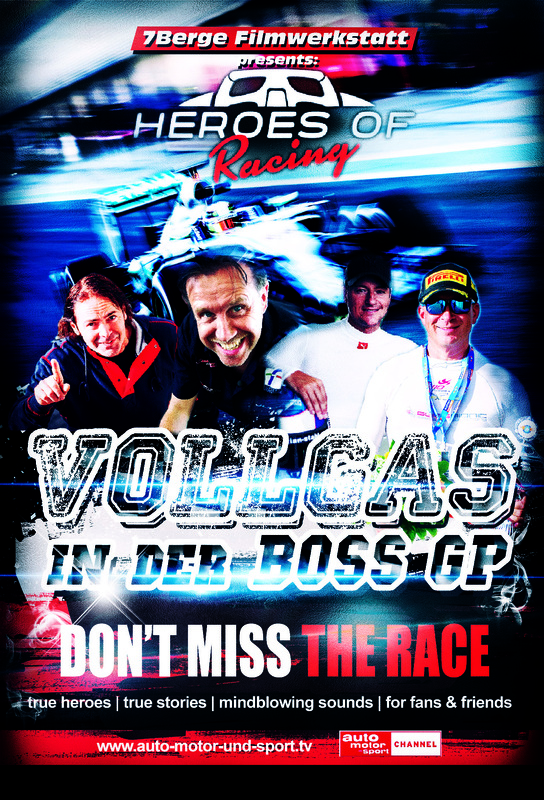 The main characters of the docutainment series Heroes of Racing are top star Ingo Gerstl and team boss Markus Lehmann. Former racing driver Sebastian Stahl reveals interesting facts about the technology, explained in an understandable way for laymen and yet a rare insight for freaks. The organisation, teams and drivers of the BOSS GP are mourning the loss of Formula 1 race director Charlie Whiting. 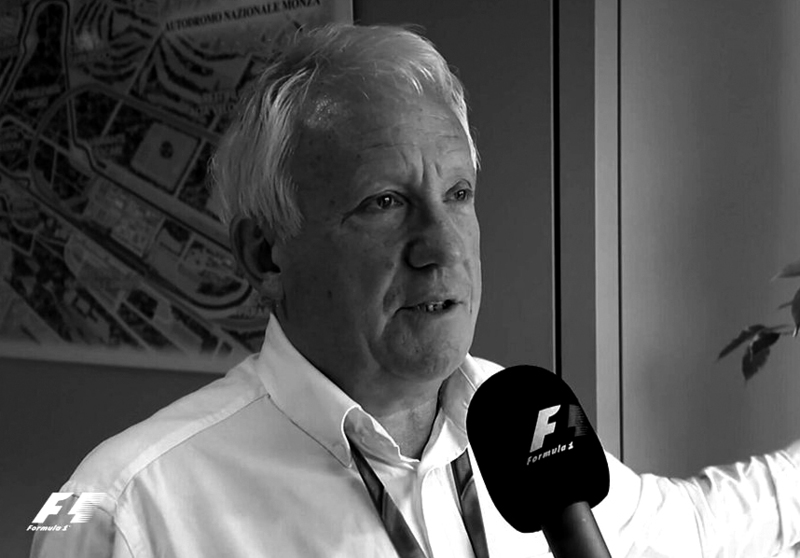 Charlie Whiting died yesterday in Melbourne at the age of 66. The Brit was part of Grand Prix racing for almost five decades. 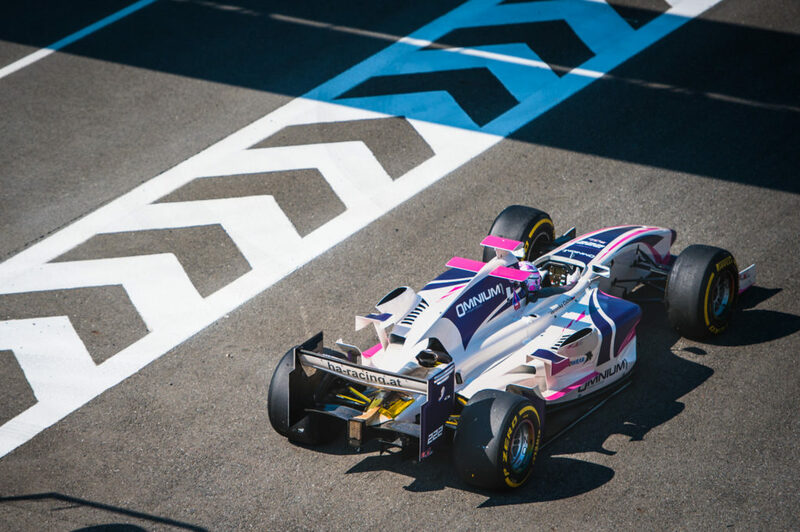 Whiting also knew the BOSS GP very well and was jointly responsible for making the series’ guest appearance at the 2018 German Grand Prix possible. The BOSS GP family express their condolences and deep sympathy with his family. 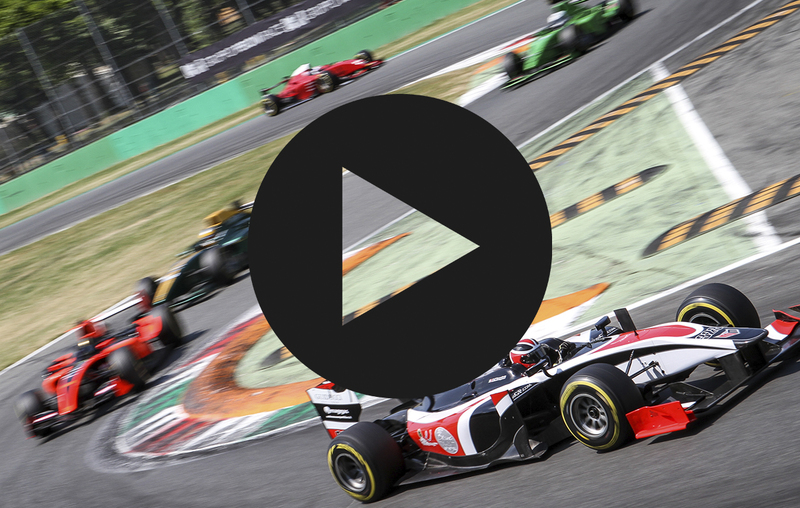 Highlights of a dramatic season full of speed, action and fun. From Europe’s fastest racing series. Check out also on our YouTube channel @bossgpofficial. 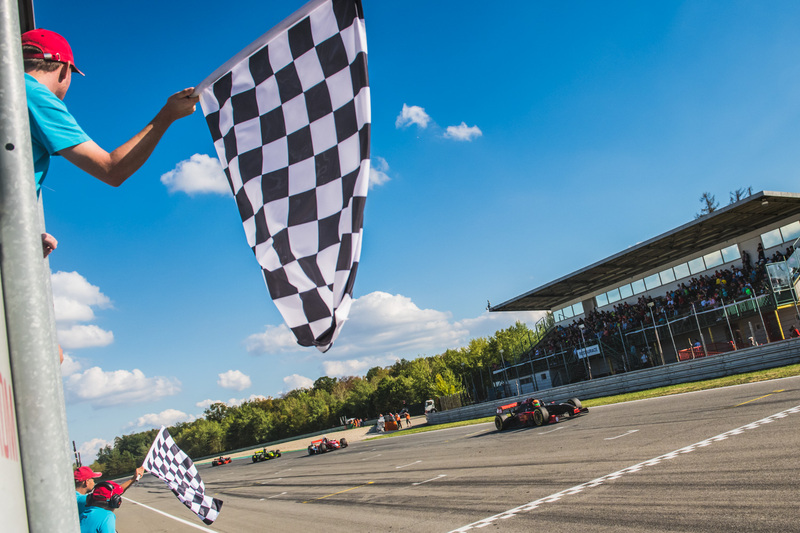 Plenty of action in the starting phase, a home win for Ingo Gerstl, Rookie Alain Valente wins FORMULA and with Florian Schnitzenbaumer the BOSS GP has a new class champion. 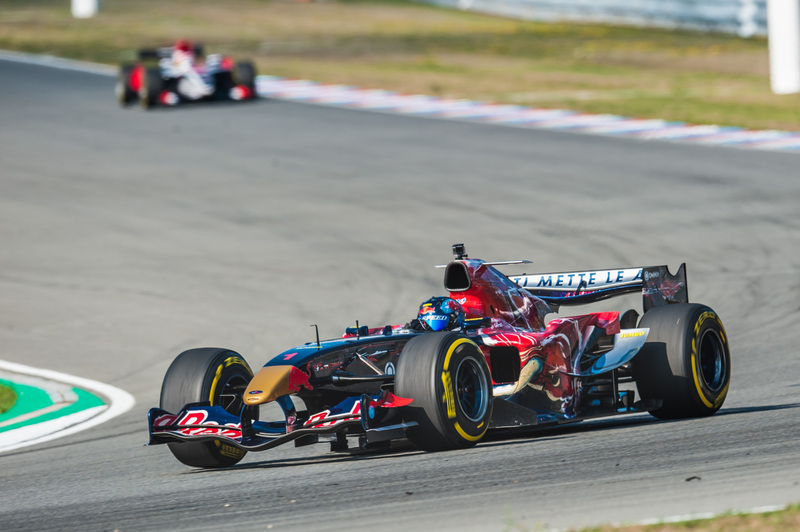 Ingo Gerstl (AUT, Top Speed, Toro Rosso STR1) made burnouts on track and delight thousands of fans on the stands. The series winner had reason to be happy after an impeccable drive in the first race of the Spielberg weekend as part of the DTM. 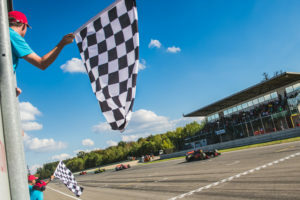 Gerstl won for the tenth time in eleven races scored so far in 2018. With 1:13.027 min he also did the fastest lap of the whole DTM weekend. Second in the OPEN was Hans Laub (DEU, Speed Center, Forti FG-03), who only started from 13. 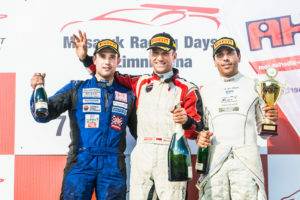 Laub fought the whole race in the midfield of FORMULA, among others with Gianluca Ripoli (ITA, MM International, GP2 Dallara) and Walter Steding (DEU, Inter Europol, Dallara GP2). 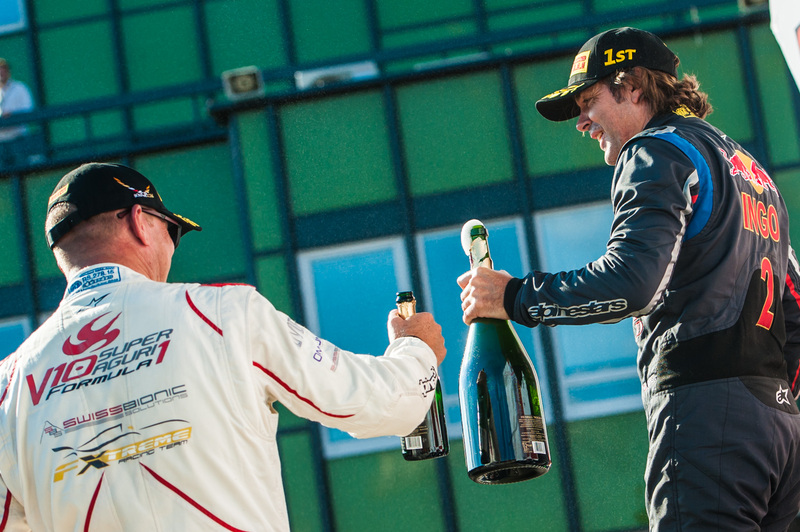 For Laub it was the first finish and also the first podium at the second appearance this year. Phil Stratford (USA, Penn Elcom, Benetton B197) was already touched at the right rear wheel during the flying start and had to head for the pits with a puncture in lap 1. With lap loss he returned to the track and fought his way through the field. But in the 20-minute race he was not able to catch up with the others. Although the track had dried up by noon, the conditions remained cold. This was a disaster for some drivers right at the start: Sergio Ghiotto (ITA, MM International, Dallara GP2) and Gianluca Ripoli (ITA, MM International, Dallara GP2) spun off the track in the warm-up lap. For two favourites the race was over before the actual start. Not much further came Salvatore De Plano (ITA, Top Speed, Dallara GP2) and Marco Ghiotto (ITA, MRC Sport, Dallara GP2). After a good start and some position improvements, the two Italians spun in turn 1 and had to retire from the race early. The consequence of the incidents was a three-lap safety car phase. Alain Valente (SUI, Speed Center, Dallara GP2) was more considerate despite his first start at a BOSS GP race. 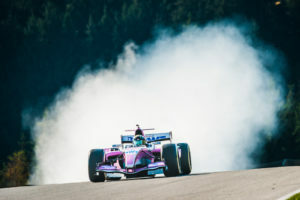 The 21-year-old survived the difficulties of the first lap without damage, first overtaking Andreas Fiedler (DEU, Fiedler Racing, Dallara GP2) and then Peter Göllner (SUI, Speed Center, Dallara GP2). This makes Valente the eighth winner (!) in the most varied BOSS GP season in the FORMULA class of all time. With second place Fiedler had done almost everything to keep the championship battle on. But Florian Schnitzenbaumer (DEU, Top Speed, Dallara GP2) finished sixth in his class for the secure his first championship title. The German seemed to be relieved to have reached his season’s goal. Before tomorrow’s final race, Fiedler is already set for second place overall in FORMULA, and the second German was correspondingly delighted. Peter Göllner (SUI, Speed Center, Dallara GP2) probably surprised himself the most once again. With the fourth podium place in the last five races he confirmed the strong performances of the last race weekends in Brno and Assen. Only one of six Italians crossed the finish line: Gianluca Ripoli (ITA, Speed Center, Dallara GP2) finished fourth. Armando Mangini (ITA, MM International) already had to park his Lola Formula 3000 in the pits in lap 1. Thus, Mangini also lost 3rd place in the championship. With 121 points he is four points behind Walter Steding and 6 points behind Christian Eicke. Steding finished sixth today, Eicke seventh – so nothing has been decided yet with these small point gaps. Race 2 will take place tomorrow at 15:10 local time directly after the DTM race. The stream on www.bossgp.com/livestream starts already at 14:55. 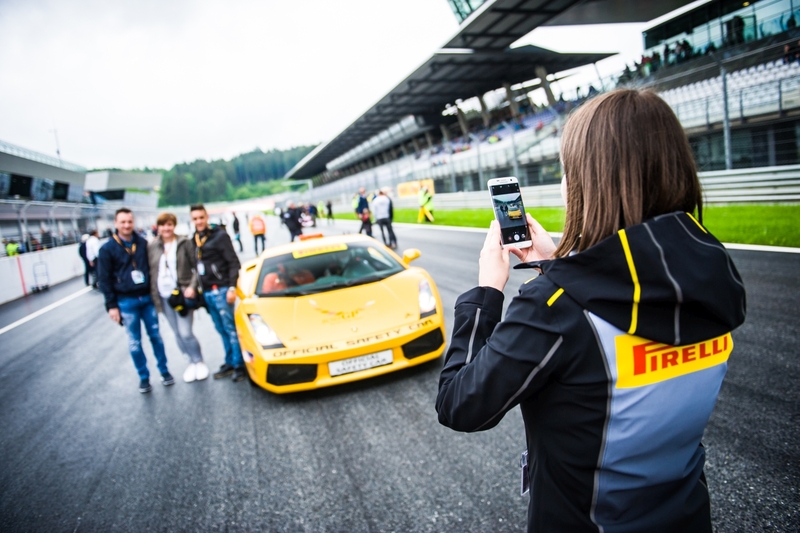 The fastest racing series in Europe brings the fun of racing back to the Red Bull Ring. The start grid for both races was already set up yesterday due to the bad weather conditions today. Saturday started as predicted very wet. Even in difficult conditions the brute BOSS GP bolides were on the track. For safety reasons the race control decided to run the timed practice as 3rd free practice and to set up the starting grid from the combined times of FP1 and FP2. 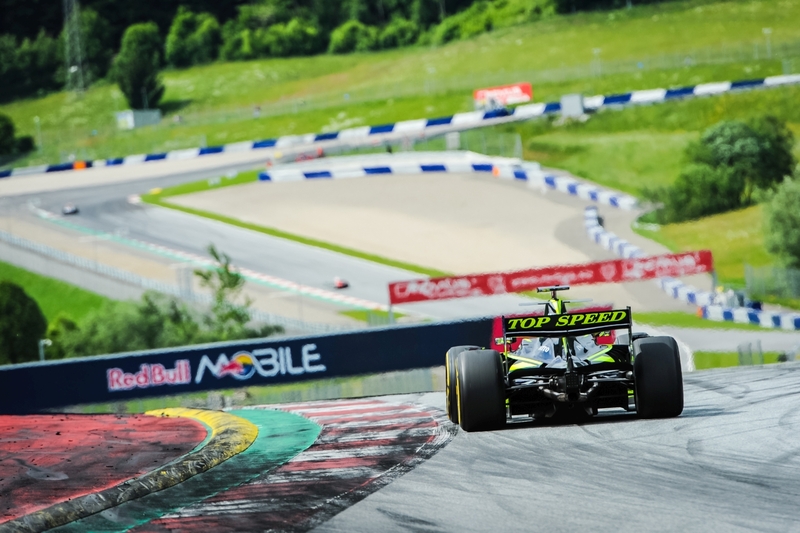 Ingo Gerstl (AUT, Top Speed, Toro Rosso STR1) took first position in qualifying for the seventh time in the seventh race meeting of the season. From the first to the second practice he improved by more than three and a half seconds. With 1:12.082 min yesterday he was still far behind the times of May, when the local hero had already scratched the 1:10 mark. 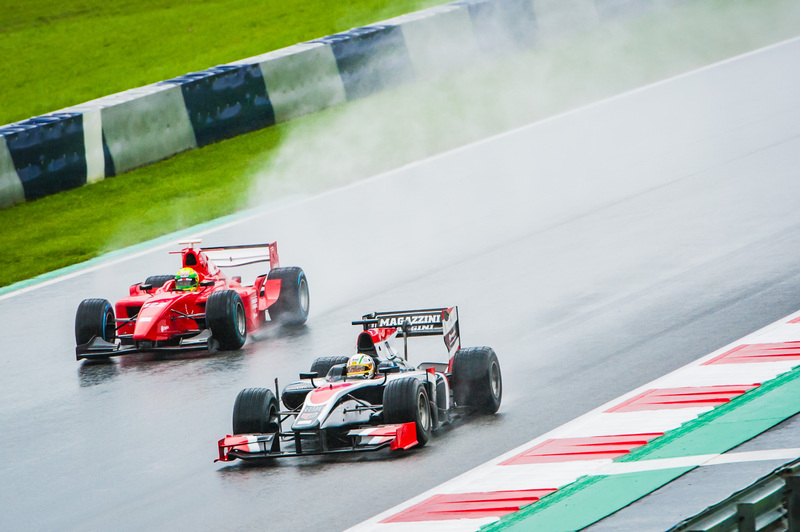 In the rain, dominator Gerstl was only fifth in the Formula 1 car, which surprised him: “Maybe there’s something wrong with the timing,” smiled Gerstl, who had already been confirmed BOSS GP Champion 2018 before the final races this weekend. Phil Stratford (USA, Penn Elcom, Benetton B197) complained about technical problems in the first practice session and a reduced driving time for him. But in the 2nd practice he easily finished second overall. He used the rain this morning for training kilometers. Stratford, who lives in California, has hardly any rain experience, but announced for the races: “Should it rain, I’ll drive”. Luca Martucci (ITA, MM International, Dallara GP2) surprised everyone: The Italian with Formula 3 experience is the fastest FORMULA driver of Friday and will lead this class into the race. In the rain practice Martucci set the best time, so he is the favourite this afternoon (starting time: 16:00, also in the Live stream). Salvatore De Plano (ITA, Top Speed, Dallara GP2) starts from row 2. The Italian this weekend has to switch from his regular team MM International to Top Speed. At MM International all cars were rented this time. At Top Speed they offered the fast Italian an alternative home, he thanked it with a successful Friday. Florian Schnitzenbaumer (DEU, Top Speed, Dallara GP2) starts from row 3 and thus directly ahead of his only remaining competitor for the championship: Andreas Fiedler (DEU, Fiedler Racing, Dallara GP2). Schnitzenbaumer has set himself the goal to enter today’s race attentively and ideally to make the title clear today. Between Schnitzenbaumer and Fiedler stands Marco Ghiotto (ITA, MRC Sport, Dallara GP2), who won the brother duel with Sergio (ITA, MM International, Dallara GP2). Sergio Ghiotto starts from 10th place, but in Saturday’s rain he showed with second place that he still has potential for the front. Gianluca Ripoli (ITA, MM International, Dallara GP2) starts from 8th place, newcomer Alain Valente (SUI, Speed Center, Dallara GP2) from 9th place. Peter Göllner (SUI, Speed Center, Dallara GP2), who has been on the podium twice in the last three races, will start from row 6 together with his team mate Christian Eicke (DEU, Dallara GP2). Hans Laub starts with his Formula 1 Forti in the middle of the FORMULA field from 13th position. 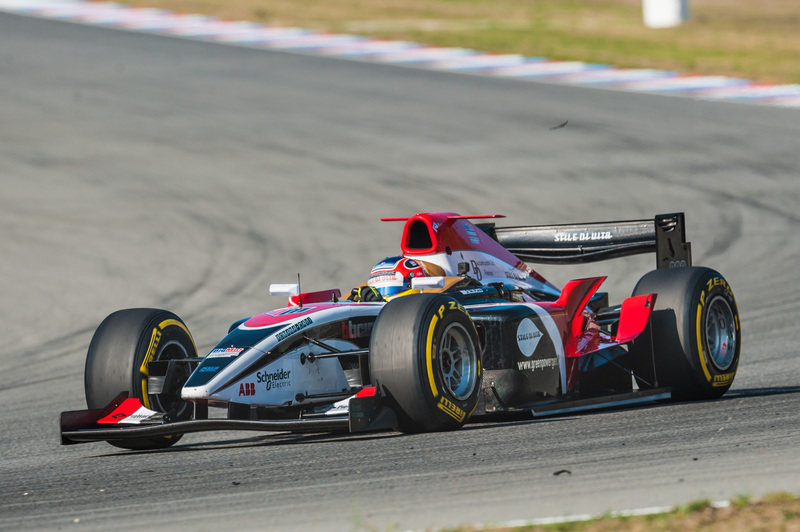 Walter Steding (DEU, Inter Europol, Dallara GP2) starts from 14th. Eicke, Steding and Armando Mangini (ITA, MM International, Lola F3000) are still fighting for 3rd place in the championship. 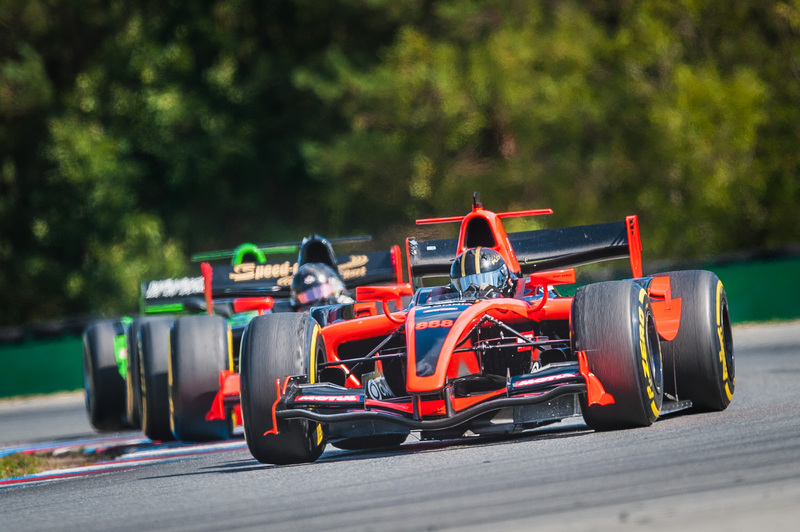 Mangini starts the race with a disadvantage, because he is the only one to start in a Formula 3000 and was far behind his immediate opponents yesterday. For Thomas Jakoubek (AUT, Top Speed, Dallara GP2) it was already over yesterday after a gearbox damage. Unfortunately, we also have to miss out on the second Toro Rosso from Top Speed. Frits van Eerd had to cancel at short notice, substitute driver Markus Lehmann was only on the track in the first practice session. With its voluminous sound and many attractions, the BOSS GP can score points in the DTM program in Spielberg. For those of you who follow the BOSS GP from home, our planner keeps you informed. Everything you need to know about the big season finale of the BOSS GP as part of the Deutsche Tourenwagen Masters at the Red Bull Ring. What does the joint event with the DTM mean for the BOSS GP? For the second time in its history, the BOSS GP is part of the programme of the largest touring car series in the world. 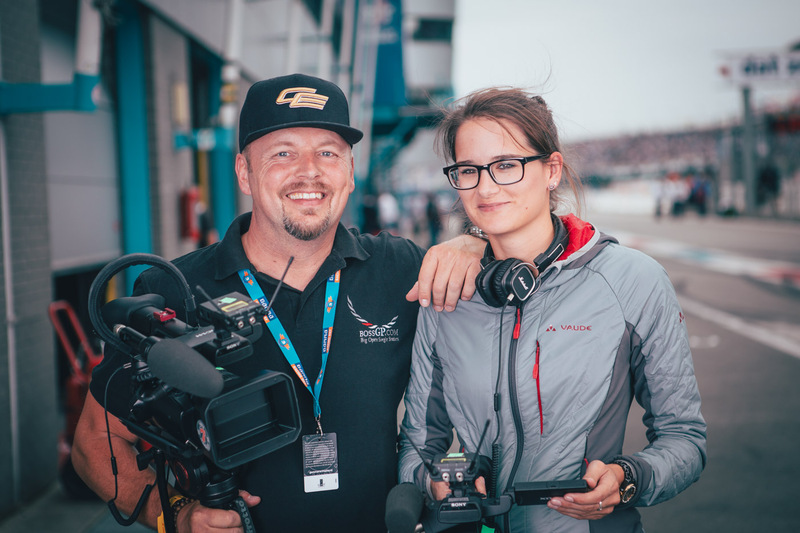 Ingo Gerstl is the driver and co-initiator of the joint BOSS GP and DTM event in Spielberg. He sees the race as a great opportunity: “This race has the highest priority for us. The DTM package is attractive and many fans will become aware of the BOSS GP for the first time. Working with such a professional racing series is incredibly enriching.” A possible repetition or even expansion of the cooperation with the DTM cannot be ruled out in the future. The stars are certainly the cars that make the most noise. What unites them all in the OPEN: 10 cylinders! Ingo Gerstl drives the first Toro Rosso from 2006. Phil Stratford starts in the 1997 Benetton of Jean Alesi. Alesi’s team-mate at the time is now DTM boss: Gerhard Berger. Another rare piece of motorsport history is Hans Laub’s Forti from the late 1990s. 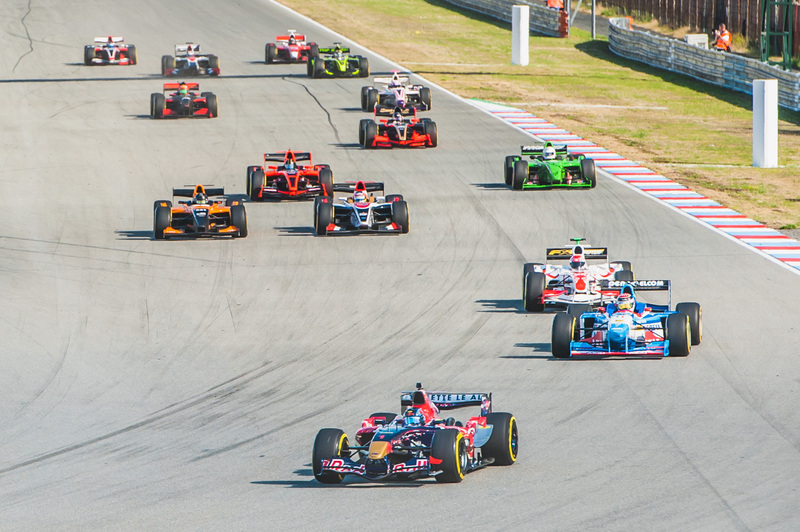 In the open class – the OPEN – Formula 1 cars, ChampCars and IndyCars are eligible to start from 1997 onwards. The engines are optional. They carry the starting numbers from 1 to 99. The second, slower but by no means less interesting class is the one with the name FORMULA. 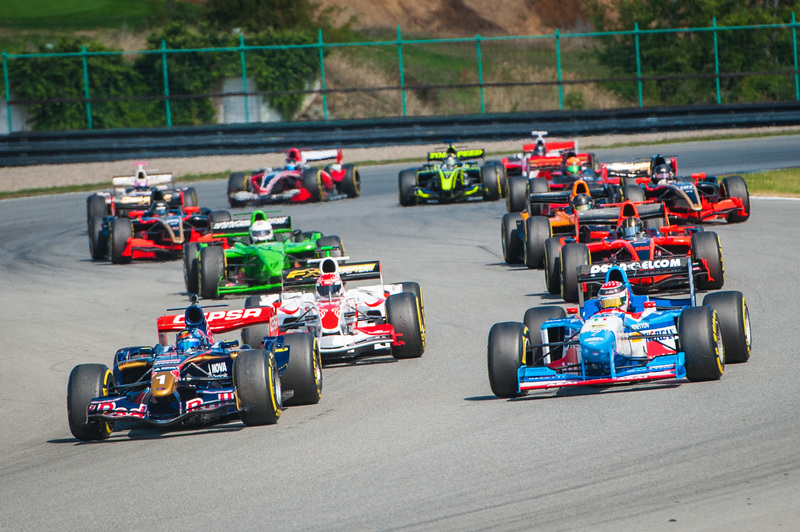 Among others, Formula 2/GP2, A1 GP, Formula 3000 and GP3 cars are on the track here. Only original engines are allowed, the starting numbers from 100 to 999 are reserved for the FORMULA. No less than six starters in FORMULA come from Italy. With Sergio and Marco Ghiotto (Monza winner) the uncles of Formula 2 driver Luca will start together in the BOSS GP for the first time. From an Austrian perspective, the eyes are on Thomas Jakoubek. 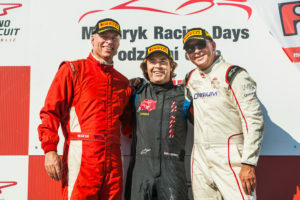 Jakoubek drove endurance races with the new Austrian rally champion Niki Mayr-Melnhof. Jakoubek has already shown several times this year in the BOSS GP that he can also drive fast. Interesting will be the start of young Alain Valente. The Swiss GT4 and Lamborghini Super Trofeo driver makes his BOSS GP debut at Speed Center Racing. 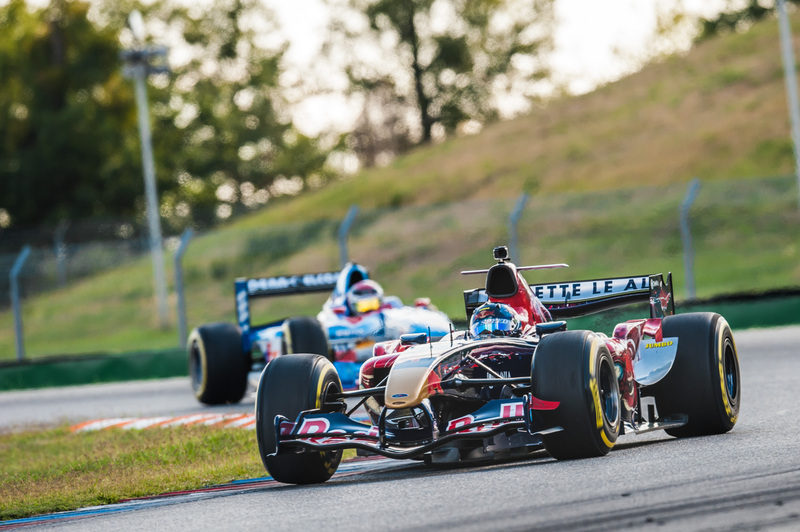 Ingo Gerstl (AUT, Top Speed, Toro Rosso STR1) already made himself the champion of the big class at the penultimate race weekend in Brno. The tenth win of the season also meant the fourth BOSS GP title in the OPEN class, his third in a row. 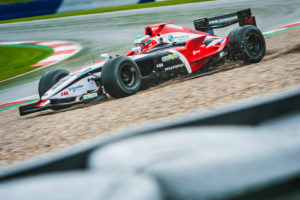 While a decision has already been made in the OPEN, the FORMULA classification is still not decided yet: Florian Schnitzenbaumer (DEU, Top Speed, Dallara GP2) has been in the lead since the first race of the year. 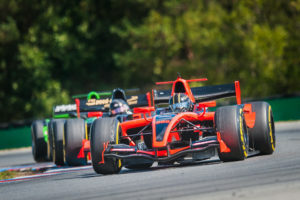 Two retirements in Monza and Assen have brought his fiercest competitor Andreas Fiedler (DEU, Fiedler Racing, Dallara GP2) closer again: Fiedler is 38 points behind Schnitzenbaumer before the final two races in Spielberg; 25 points are awarded for a race victory. For Florian Schnitzenbaumer it would be the first title in the BOSS GP, and thus also the biggest success of his motorsport career to date. The Fiedler, who has switched from hill climb and sports car racing, is already fighting for the championship in his very first BOSS GP season, and a possible runner-up title can hardly be taken away from him. Both would be worthy champions in any case. Even closer are the other positions, third place is vacant: Armando Mangini (ITA, MM International, GP2 Dallara) fights with Christian Eicke (SUI, Speed Center, GP2 Dallara) and Walter Steding (DEU, Inter Europol, GP2 Dallara), who have moved up to the front positions of the standings with consistency. Before the final races in Spielberg, 31 drivers have already collected 2018 points in the BOSS GP season. When is the BOSS GP on track? The BOSS GP opens the event program in Spielberg on Friday, September 21st with the 1st Free Practice at 11:25 a.m., the 2nd Free Practice is scheduled at 3:30 p.m. local time. Saturday, 22 September, qualifying will take place at 9:45 am. The qualifying is divided into two sessions: Q1 goes over 8 minutes and is reserved for the 5 fastest drivers from the totaled free practice sessions. After a break of 2 minutes all other drivers are allowed on the tracks, they have 20 minutes at their disposal. The final classification of this timed practice is the starting grid for both BOSS GP races. The two races go over 20 minutes and will be started with a flying start. The first race will take place on Saturday at 16:00, the second race directly after the DTM race on Sunday afternoon (15:10). Yes, there are still seats available on all grandstands (main, south-west and west) – either via the DTM ticket portal, oeticket.com or via GPTicketshop. Weekend tickets are already available from 30 euros. Reductions of up to 50 percent are available for young people and wheelchair-accompanying persons. For children to 7 years and wheelchair users the entrance is free. On Friday there is free choice of seats on all open grandstands and free admission to the paddock for holders of a valid admission ticket (with Gold tickets, otherwise to be purchased on site). On Saturday and Sunday, the booked seats are valid. How close can fans get? The DTM has come up with something special for its penultimate station in Spielberg: the Public Grid Walk. Both on Saturday and Sunday fans with a paddock ticket will have access to the starting grid of the DTM, which will be extended from 15 to 40 minutes for this purpose. The access rights to the grid will be issued in the paddock – as long as stocks last. As in previous years, there will also be the Pit Walk, i.e. the sightseeing tour through the pit lane. You can watch the DTM teams as well as the BOSS GP teams working on their racing cars. Saturday from 16:35 to 17:25, Sunday from 9:20 to 10:15. Most of the BOSS GP teams will be in pits 24 to 32. As always, the BOSS GP drivers and teams will be happy to sign autographs and answer questions – friendly questions are usually sufficient. For the first time in the history of the BOSS GP there will be an official livestream. You can watch it either on the website www.bossgp.com, on the Facebook page (@bossgpofficial) or on the YouTube channel of the racing series. 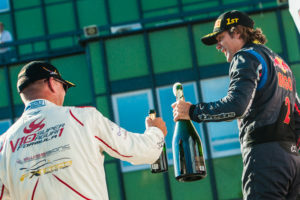 Ingo Gerstl secured his fourth BOSS GP OPEN title in the third last race of the season; the driver of the race was again Marc Faggionato. The highlight of the Masaryk Racing Days in Brno was scheduled for Sunday at noon. 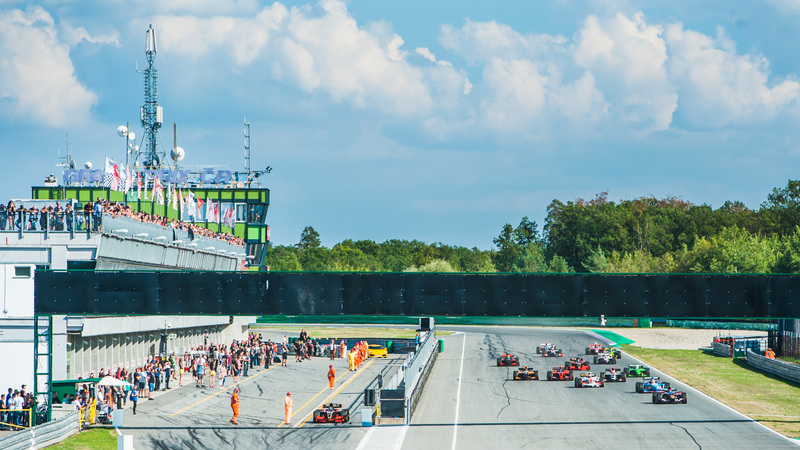 The engines howled on time and Ingo Gerstl (AUT, Top Speed) and Phil Stratford (USA, Penn Elcom Racing) started from the front row at the flying start. Throughout the race Gerstl, Stratford and Wolfgang Jaksch (DEU, F Xtreme Racing) remained within sight. But Gerstl’s tenth victory of the season was never in danger. The Toro Rosso pilot thus also fixed the third championship in three years, Gerstl won today for the fifth time a BOSS GP title after 2008, 2011 (FORMULA), 2016 and 2017. A word about the overall podium could perhaps have been said by the man of the race: Marc Faggionato (MCO, ZIG-ZAG Motorsport Service) had, as yesterday, the difficult task of starting from the rear. A clutch problem prevented the start in qualifying, so he was positioned at the back of the grid. From there, he already took 8th place on the first lap and then 4th overall in the middle of the race. With lap times faster than Stratford and Jaksch he caught up tenths by tenths like yesterday but catching up was no longer possible at this point. Nevertheless, Faggionato managed to win for the second time at the second start of the year. Peter Göllner (SUI, Speed Center) was also very pleased with his podium finish. After the Assen double, Göllner stood on the podium for the third time this year. Championship leader Florian Schnitzenbaumer (DEU, Top Speed) was also allowed to take part in the award ceremony and thus extended his lead to Andreas Fiedler (DEU, Fiedler Racing), who finished fourth in the FORMULA. 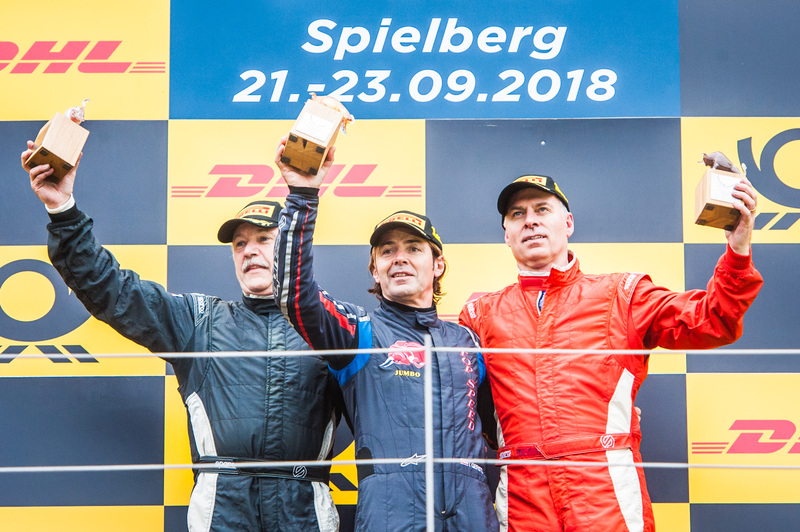 Fiedler is 38 points behind Schnitzenbaumer before the final in Spielberg (21-23 September 2018); 25 points are given for a victory in the BOSS GP. 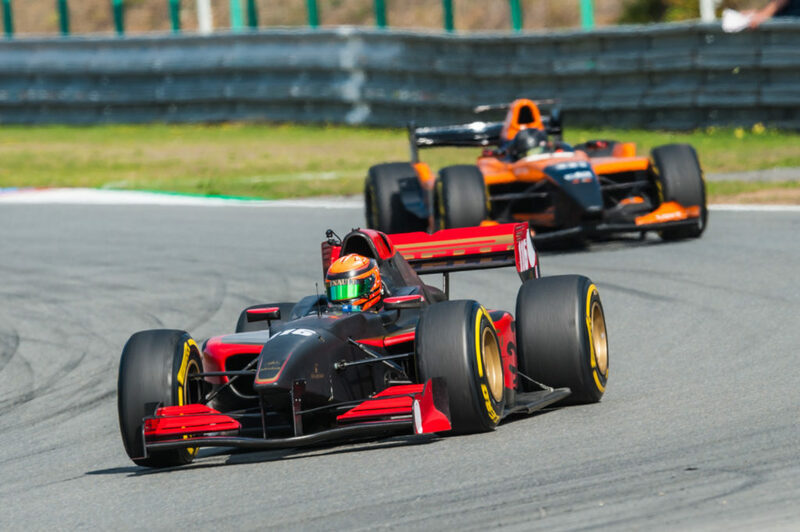 Nicolas Matile (MCO, ZIG-ZAG Motorsport Service) drove in the only Auto GP bolide without any problems to class rank 5. 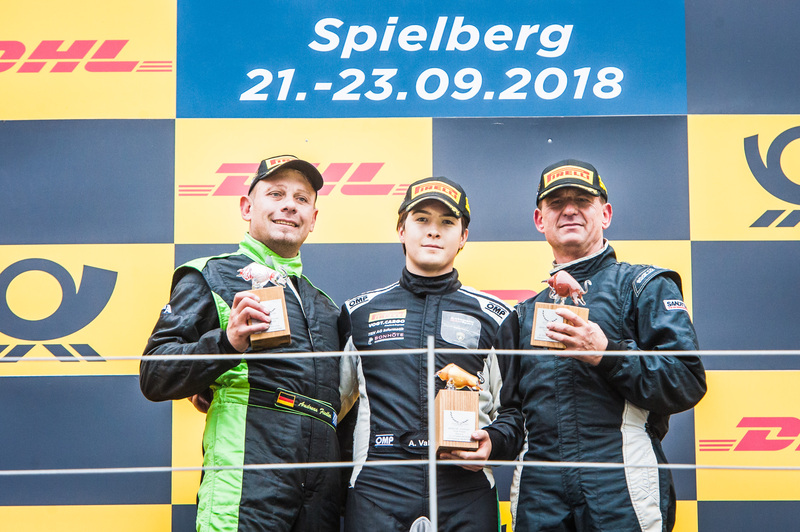 As already in race 1 Walter Steding (DEU, Inter Europol), Thomas Jakoubek (AUT, Top Speed) and Christian Eicke (SUI, Speed Center) fought a tough fight in the midfield. 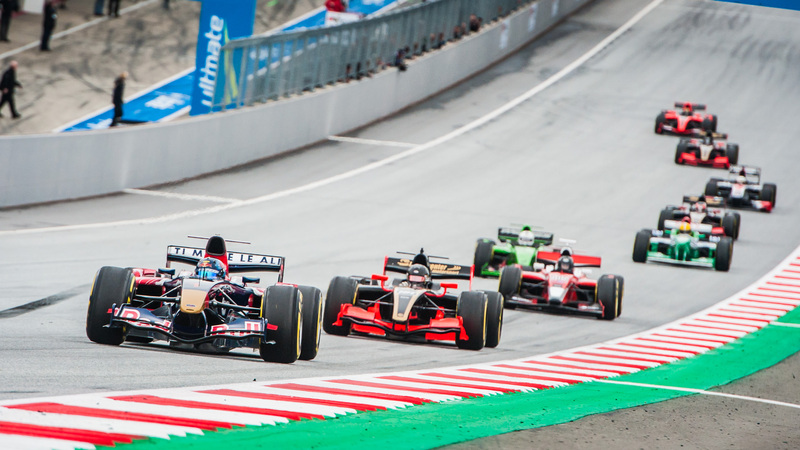 Steding was able to hold his own against Jakoubek in the very last corner and finished sixth in the FORMULA. 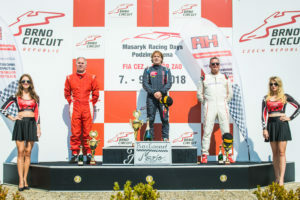 H&A Racing had to complain of a double loss: Veronika Cicha (CZE) could not finish her home race either, nor Bernd Herndlhofer (AUT), who at times was on a podium course. MM International with the drivers Salvatore De Plano and Armando Mangini (both ITA) did not start. One of their mechanics was seriously injured the day before. On behalf of the BOSS GP organisation and all teams and drivers we wish him and his relatives the very best for his recovery. The most exciting race of the season did not leave anyone cold: Dominator Ingo Gerstl had to push, and Marc Faggionato drove the race of his life. 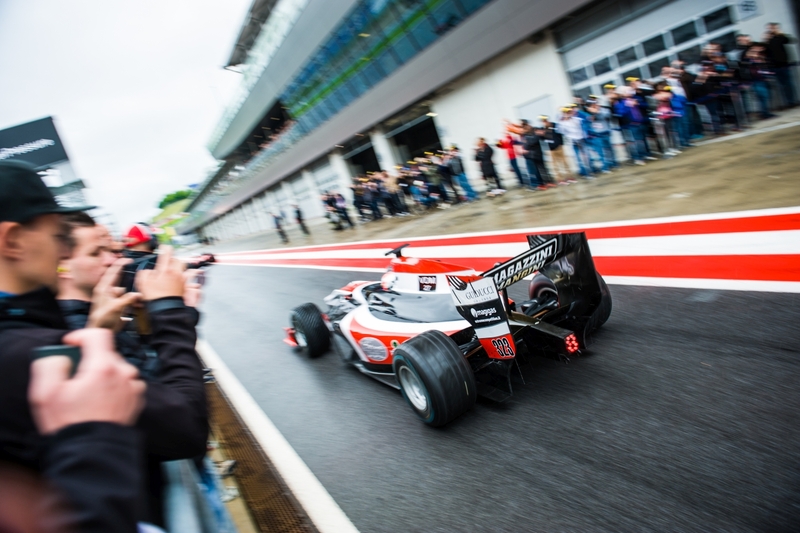 The BOSS GP’s brute sound attracted numerous spectators to the Automotodrom in Brno – and nobody regretted it. Exciting position fights wherever you looked. A little bit of touching and wheelbanging were the spice in this afternoon’s program. That the victory would lead over Ingo Gerstl (AUT, Top Speed) was less surprising. 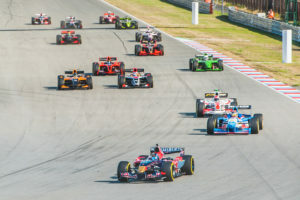 The fans liked the fact that the man from Salzburg had to fight his way through the field again after a pit stop and challenged Gerstl more than expected. Although no new lap record was set, with 1:37.751 Gerstl in the Toro Rosso STR1, however, set a speedy time and won in the end sovereign. Phil Stratford (USA, Penn Elcom Racing) took the lead for four laps, in the end it was only enough to finish in 2nd place. The Benetton driver had to save his tyres on the front axle, Wolfgang Jaksch (DEU, F Xtreme Racing) caught up Stratford in big steps towards the end. The Super Aguri of Jaksch crossed the finish line just a few metres behind Stratford. 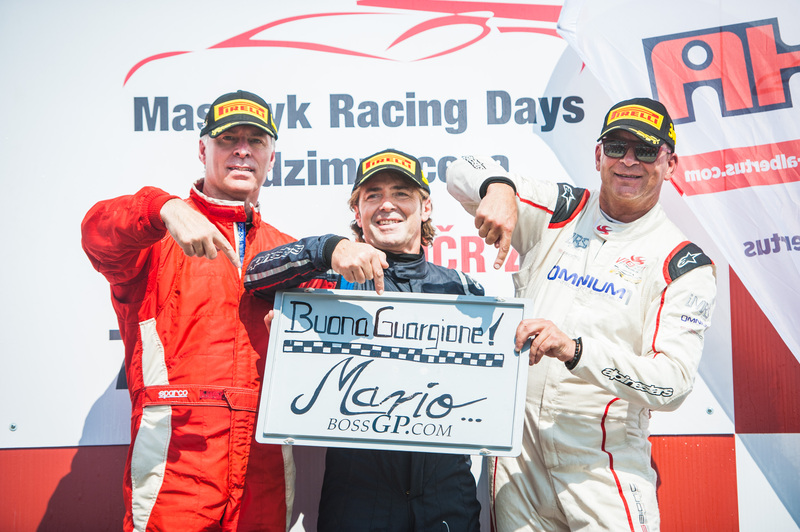 The man of the race comes from the FORMULA class: Marc Faggionato (MCO, ZIG-ZAG Motorsport) could not participate in qualifying with a clutch problem. Only the good practice times helped him to get permission to start in the race. In the first race Faggionato roared furiously from 15th on the grid to 4th on the grid. This meant not only overtaking eleven opponents, but also the victory in the FORMULA class for GP2, Auto GP and similar vehicles. But it was a tough fight for Faggionato, especially when it comes to the fight for podium and the victory. 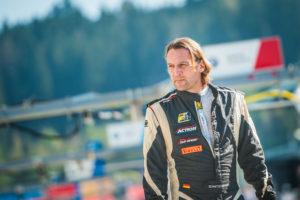 The positions changed several times, Bernd Herndlhofer (AUT, H&A Racing) in the first race with his own car in the 2018 season could defend himself the longest and led the class at the beginning of the race. Also pole setter Salvatore De Plano (ITA, MM International) countered once. In lap 8, however, Faggionato grabbed both opponents for victory and drove away the pack. The group behind was led by Armando Mangini (ITA, MM International). He also showed an outstanding performance from 13th position on the grid. Even if Florian Schnitzenbaumer (DEU, Top Speed) had speculated on a podium place, rank 5 in the FORMULA meant the extension of the lead in the points standings to Andreas Fiedler (DEU, Fiedler Racing). 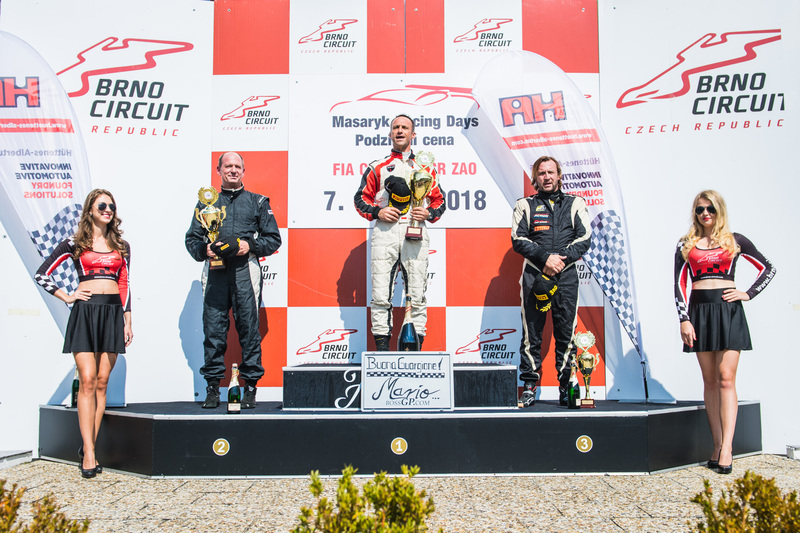 Fiedler finished sixth, ahead of Peter Göllner (SUI, Speed Center), who was able to assert himself against an aggressive Nicolas Matile (MCO, ZIG-ZAG Motorsport) in the only Lola Zytec Auto GP. The 15 drivers did not give away a single meter in the 20-minute race. They also fought for 9th place in the FORMULA until the finish line, as if it were a question of victory. Walter Steding (9th), Thomas Jakoubek (10th), Christian Eicke (11th) and local hero Veronika Cicha (12th) took part in this sensational fight. Tomorrow, Sunday, a decision can already be made in the championship, both for Ingo Gerstl in the OPEN and for team mate Florian Schnitzenbaumer (both Top Speed) in the FORMULA. The pit lane for race 2 opens at 12:15 local time. Bernd Herndlhofer (2nd place FORMULA): “Good race and good result, but I still can’t manage the car as I want. The set-up of the car is not good enough, I’m sure I can still improve”. Ingo Gerstl heats up to the unofficial lap record in the Automotodrom with over 200 km/h average speed. Salvatore De Plano was the fastest FORMULA pilot on his return to BOSS GP. Sixth qualifying, sixth pole position: Ingo Gerstl (AUT, Top Speed) is on his way to the next championship title. The fact that he doesn’t slow down despite his dominance is proven by the qualifying best time of 1:35.155 min. Since the engagement of tyre supplier Pirelli the lap records have tumbled, but a possible new track record (1:36.065; Ingo Gerstl last year) only counts during the race. In addition to Gerstl, Phil Stratford (USA, Penn Elcom Racing) will start the 20-minute first race from the front row this afternoon (starting time: 14:50 local time) in the 1997 Benetton. Wolfgang Jaksch (DEU, F Xtreme Racing) in the Super Aguri had to start in Q2 once again, but still managed a strong time despite traffic. In the race a duel for 2nd place with Stratford is quite possible. Salvatore De Plano (ITA, MM International) makes his racing comeback after a five-month break and has lost nothing of his speed. The fast Italian with a time of 1:45.751 is only three tenths behind the slowest OPEN car. Florian Schnitzenbaumer (DEU, Top Speed) is the leader of the FORMULA standings. 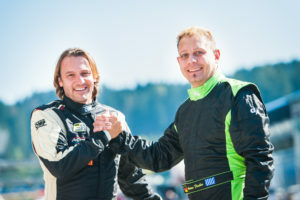 Schnitzenbaumer qualified ahead of his fiercest competitor for the title Andreas Fiedler (DEU, Fiedler Racing). Bernd Herndlhofer (AUT, H&A Racing) is a former BOSS GP champion De Plano and the two Germans. A thrilling four-fold fight for the podium places in the FORMULA is to be expected for the races. The two Speed Center drivers Christian Eicke and Peter Göllner will follow in positions 8 and 9. Local Veronika Cicha made it into the Top Ten. Nicolas Matile (MCO, ZIG-ZAG) finished behind her. Like his team mate Marc Faggionato (no time in qualifying due to clutch damage), he also participates in a BOSS GP weekend for the first time this year. The fast and technically demanding track in the Czech Republic claimed its victims in qualifying, with Armando Mangini, Walter Steding, Nicolas Matile and others spinning. However, all drivers were able to continue the qualifying without damage.